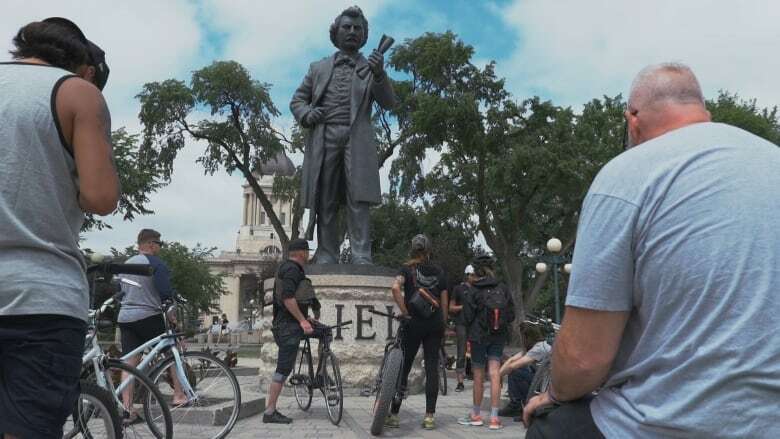 Two cycling enthusiasts are combining Indigenous history, tourism and active living in their summer bicycle tours of Winnipeg. 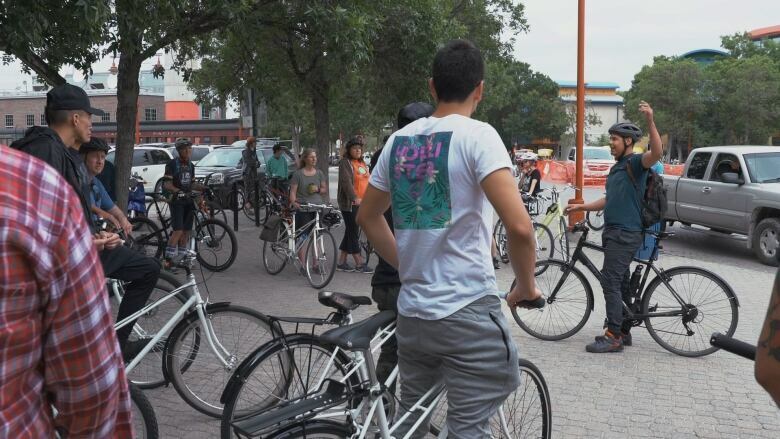 Two cycling enthusiasts are combining Indigenous history, tourism and active living with bicycle tours of Winnipeg, Man., this summer. Justin Larrivee and Adrian Alphonso are the organizers of Traditional Trails, an Indigenous-led interpretive bicycle tour that shares the history and culture of First Nations and Métis people by taking clients to see monuments, murals and historically significant locations. "A big part of this ride is inviting non-Indigenous people to come do what we're doing," said Larrivee. Larrivee, who is Cree-Métis, is a former employee at The WRENCH, a non-profit, community bicycle repair and education centre, and has been offering the guided tours since last year. Their first tour of the summer had about 20 people and focused on Métis history in Manitoba. It started off at the Forks and made six stops across downtown Winnipeg. At each stop, Larrivee and Alphonso provided a brief discussion of history before moving onto the next stop. Alphonso said the bike tours give people a chance to learn Indigenous history of Winnipeg they might not know. "I know the bicycle has helped me understand my surroundings," said Alphonso, who is Anishinaabe and Guyanese. "Everything is just taken in a little bit differently by bicycle and I know all demographics, all ages and all genders, can really bring this to their own lives." The duo aims to bring together all kinds of people from inner city youth to suburban commuters to help spark a discussion about living on Treaty 1 territory. While the tours help to educate people, they are also bringing people together through physical activity, say the organizers. "This is something that I found in a Truth and Reconciliation call to action," said Alphonso. The report from the commission examining the lasting damage created by Canada's residential school system recommends more funding and support for Indigenous people to become physically active and get involved in sports. "Being able to kind of combine a traditional culture with something like cycling is really important for actually reaching that call to action," said Larrivee. The duo sees cycling as a great way to foster wellness and combat health problems in Indigenous communities, like diabetes. The organizers are hoping that programs like Traditional Trails will inspire more Indigenous people to get involved in ecotourism and sport tourism. It's an idea they think could be used in First Nations communities across the country, both urban and rural. "I think … communities are going to be self-sufficient offering ecotourism in their regions and they're going to offer really unique content as well," said Alphonso. "We feel like cycling, Indigenous cycling, is something that is going to grow and it's something that must grow," said Larrivee. For now, Larrivee and Alphonso look forward to sharing their love for their culture, nature and cycling on Sundays this summer.